From Nice: when arriving at Saint - Clair at the " Olivier Millénaire " roundabout , take the direction to the port , the road is along blue barriers for 100 meters . 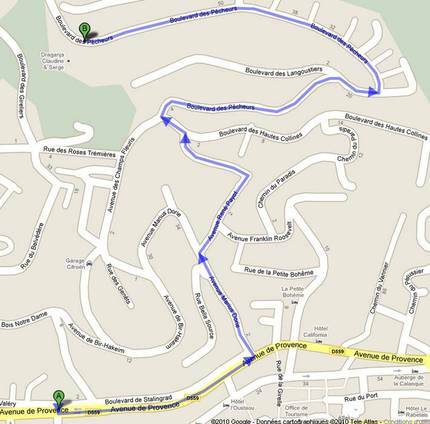 Then take first right "rue La Renarde/ Avenue des Cistes" and drive up for 300 meters to the top of the hill. Turn right on Boulevard des Hautes Collines . Drive for 900 meters to the " Super Lavandou " roundabout then turn right on Boulevard " des Pêcheurs " n° 45, on the left. From Toulon: Arriving at the « of the Sea » roundabout you will go on your right and take the third road, rue Paul Valery – Gendarmerie nautique (parallel to the main road n°559), right in the front of the police station). Drive for 100 meters and turn 1st left on " rue Bois Notre Dame ". Drive for 100 meters and at the y intersection take on the left . Drive for 100 meters and take the first turn on the right, drive for 500 meters , passing in front of the motel " La Galaxie " on the right, then 2 nd left " Les Mas du Lavandou ". 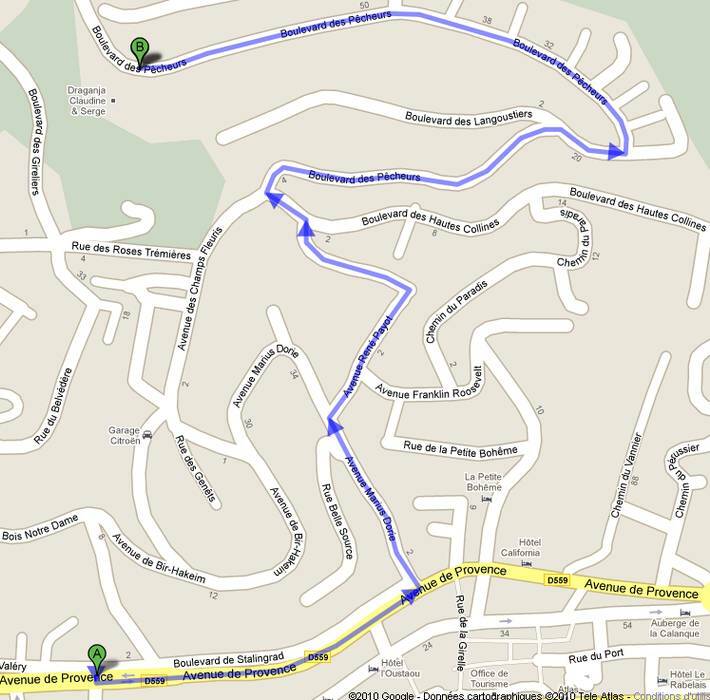 Then Drive for 400 meters to the top of the hill, turn right, you are on Boulevard des " Pêcheurs " . The house is on the right " La Sergerie " at No45.